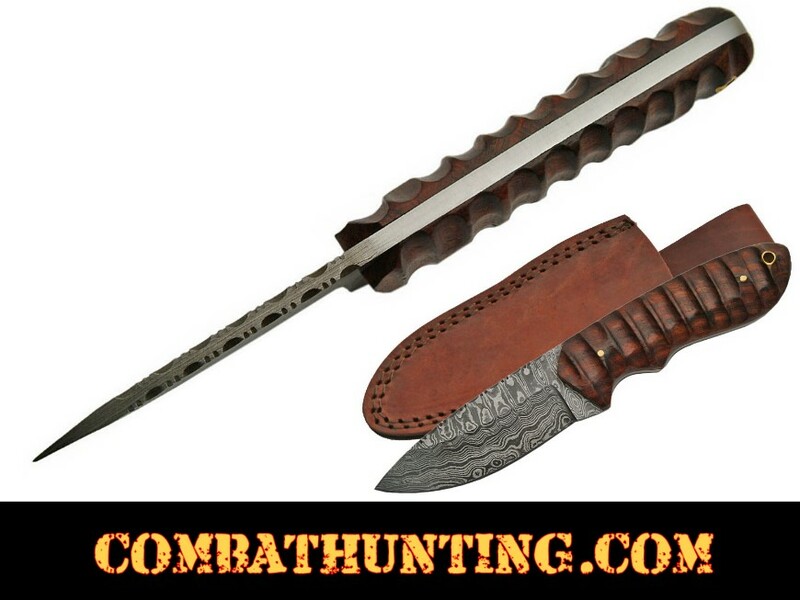 This is a great looking DAMASCUS steel hunting knife for sale. We have Hand Made Real Damascus steel hunting knives great for skinning white tail deer. Knife is 8.5" long with rose wood handle and real leather sheath. Carefully hand-forged knife (hand-made) Damascus steel blade each with its own unique patterns a work of art. 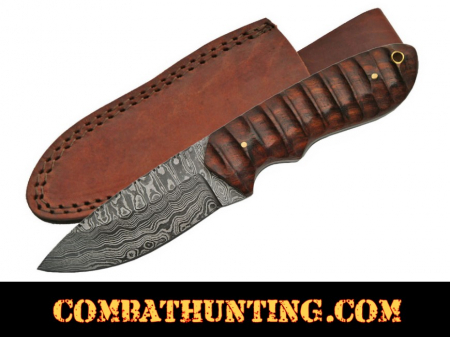 Full tang knife with thick blade made to last, 180 to 360 layers with brass rivets. Damascus Steel Knives Layer Patterns Are Unique (hand-made) On Every Blade No Two Are The Same Pattern. This is super Deal Don't just Buy One they will go fast.